Benjamin Fridman is an Analyst at CapM. Mr. Fridman is involved in mergers and acquisitions advisory with a focus on the consumer retail and healthcare industries. 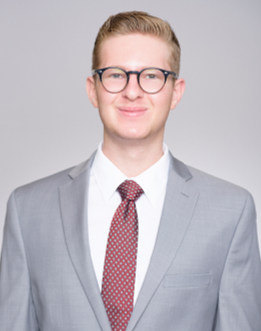 Prior to joining CapM, Mr. Fridman was a Summer Analyst at Barclays Capital in the Global Finance Advisory group, where he worked on quantitative corporate advisory, including stochastic modeling of earnings, liquidity, and leverage scenarios to plan for mergers and acquisitions. He also evaluated and projected Client net exposure to foreign exchange rates to build hedging optimizations for upcoming transactions. Prior to Barclays, Mr. Fridman was a member of the business strategy team at Scopio Labs, a hi-tech start-up in Tel Aviv. His main responsibilities included market research and product development, reporting directly to the Chief Executive Officer and Chief Technology Officer.